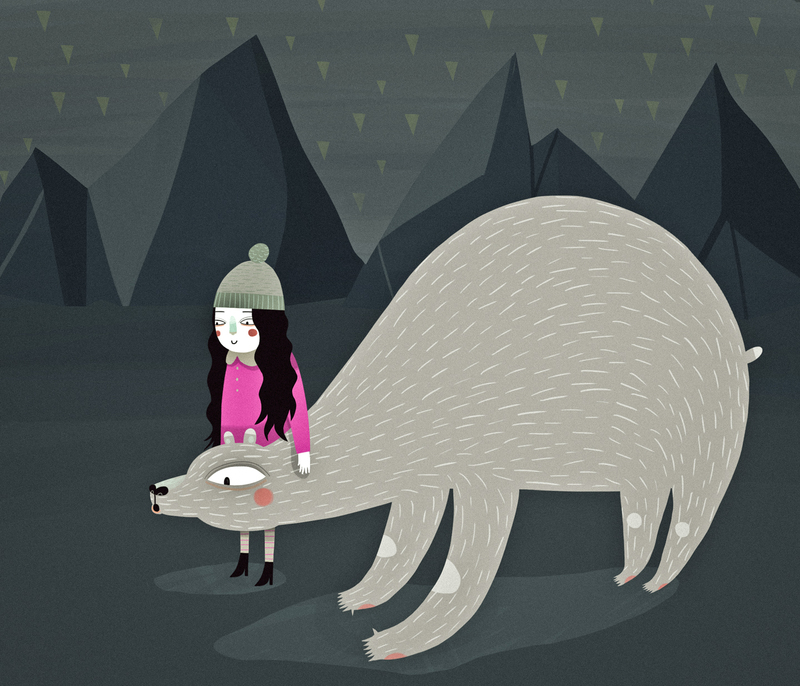 This entry was posted in illustration and tagged girl, illustration, mountians, night, polar bear, polar girl, winter by sarahgoodreau. Bookmark the permalink. This one is super charming! I love how little hints of magenta mingle in the mostly-black-and-white picture, echoing the assertive pink of her coat. You’ve captured a tantalizing sense of mystery with the characters, too. And I just love the chunky mountains. The geometry of them seems like something new for you… and it is an intriguing development. thank you so much! and yeah, the mountains were pretty fun and different to do. i may try to utilize something like them in the future.